If you are in receipt of benefits to pay our rent, you will either be receiving Housing Benefit as a payment from the council or as part of a Universal Credit payment from the Department of Work and Pensions. The council are the traditional payers of the Housing Benefit payments, they take into account your rent, if you are employed and if so how much you make, savings, children and personal circumstances. They will then present you with a regular 4 weekly Housing Benefit payment for the landlords which will only change when your circumstances changes. If you are looking to move into an area which still has the council paying the Housing Benefit and are unsure of the procedure, you can go on their website and see what is required of you, find out how much you could be due and find out the procedure to receive these payments. To find which council is responsible for the area you are considering moving in to, please follow the below link to check, you can then visit their website or phone and they should be able to help with your questions. Universal credit is a conglomeration of all of your benefits put into one payment, paid on the same day every month and paid by the department of Work and Pensions. Like the council, the DWP will consider your rent, if you are employed and if so how much you make, savings, children and personal circumstances. They will then add your Housing Benefit allowance to your other benefits and give you 1 payment to cover all of the benefits you are owed. The amount you make can fluctuate from month to month, you my make a bit extra money at work and the amount you receive for your Universal Credit payment will go down. If you are looking to move into an area that is using Universal Credit, follow the link below to find out more and to make an account with them. 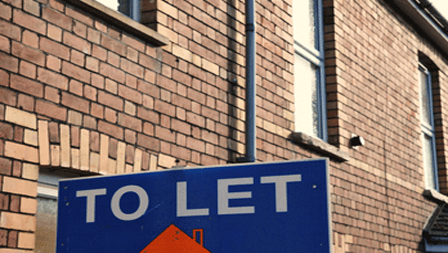 Our landlords have been renting to Housing Benefit tenants for the last 15 years. We welcome new applicants who are entitled to Housing Benefits or Universal Credit. You must have your own deposit in the first instance and in certain cases we will accept a lower deposit. Our landlords may also require in certain cases a Guarantor for the tenancy and especially for new applicants for housing benefits. The guarantor can be any one over the age of 25. The guarantor has to be either in full time employment or a property owner. If you are planning on claiming Universal Credit, you must apply online or contact your local Job Centre and make an appointment. To apply for housing benefit, you must make an appointment with the local council’s housing benefit office immediately or submit a completed housing benefit form on line. You will also need to personally visit the council offices to obtain a receipt for your application and lodge all relevant documentation. The receipt should be handed over to the landlords.